National Health Care Reform: Dream or Reality? For a detailed curriculum vitae, please contact Lisa Tran. 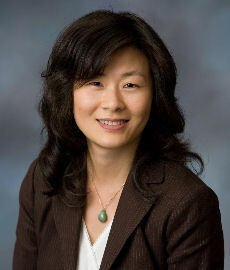 Lisa Tran is a vice president with Willamette Management Associates. She is also the leader of our financial accounting valuation services practice. Lisa performs the following types of valuation and economic analysis assignments: business and stock valuations, intangible asset and intellectual property valuations, litigation support, shareholder dissension/oppression valuations, economic damage calculations, post-acquisition purchase price allocation appraisals, and goodwill and other intangible assets impairment analyses. Lisa has performed business, stock, and intangible asset valuation analyses in the following industries: apparel, auto repair, biotechnology, construction, food processing, forest products, health care, information technology consulting, insurance, Internet research, restaurant services, semi-conductors, software, staffing services, telecommunications, trucking, and weight loss. In addition, Lisa has quantified the value of, remaining useful life of, and/or arm's-length license/royalty rate for the following types of intangible assets: developed technology and know-how, in-process research and development, customer-related intangible assets, goodwill, noncompete covenants, production backlogs, trained and assembled workforce, favorable leases, and trademarks and trade names. Before joining Willamette Management Associates, Lisa performed purchase price allocation valuations and goodwill and other intangible asset impairment analyses at DSC Appraisal Associates, Inc. Prior to that, she maintained the cost accounting system for inventory at a metals component manufacturing facility in Los Angeles. Before that, she administered a company pension plan at Allegheny Teledyne Incorporated. Lisa is an accredited senior appraiser (ASA) of the American Society of Appraisers, accredited in business valuation. She has successfully completed the level 1 chartered financial analyst (CFA) examination of the CFA Institute.